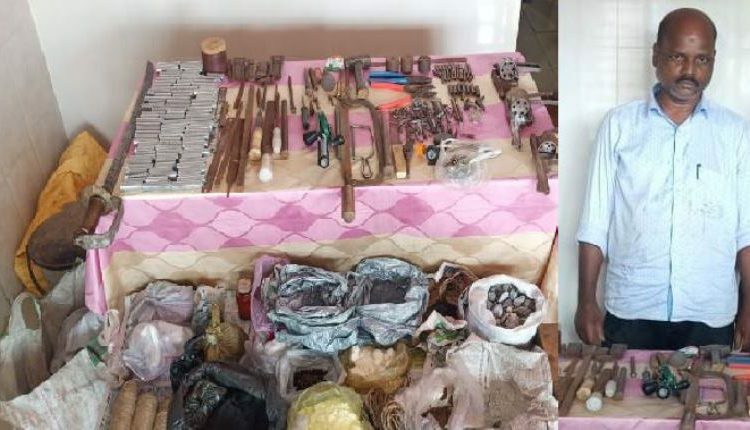 Bhubaneswar: Commissionerate Police busted an illegal arms manufacturing unit and arrested one person in this connection on Monday. Shockingly, the unit was being operated inside a government quarter under Khandagiri police limits. The arrested person has been identified as Nursingha Nayak of Sarakantala village in Dumduma area. Nayak is an employee of Odisha University of Agriculture and Technology (OUAT). 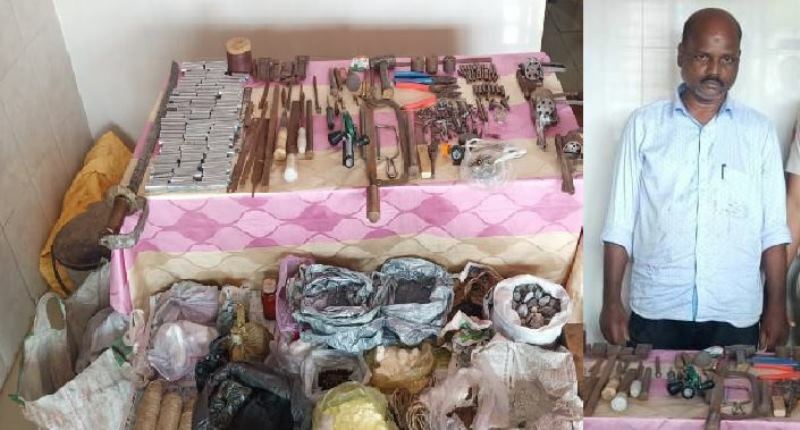 A police team, based on the inputs from some reliable sources, conducted a raid at the government quarter allotted to Nayak at OUAT Colony and unearthed the illegal arms manufacturing unit. Apart from arresting the accused, cops also seized a huge cache of arms and ammunition. Meanwhile, police are interrogating Nayak to ascertain more leads in the incident. Besides, a case has been registered against him.